Dynamic Smile Design is committed to giving our patients a high-quality dental experience with a focus on comfort and compassion. We offer many patient comfort amenities to make your visit with us more enjoyable. We are your cosmetic dentist in Orlando, and all of our staff are focused on providing care and professionalism that puts each patient at ease. We have created an environment of luxury for our patients. Our reception area is beautiful and aesthetically pleasing. You will be greeted by our friendly staff and offered water, a cup of tea, and snacks. This makes the experience at Dynamic Smile Design more like a spa than what you might expect from a dentist’s office. When you go into the room for treatment, you can listen to music on the headphones provided for each patient or watch TV on the screen mounted above your chair. 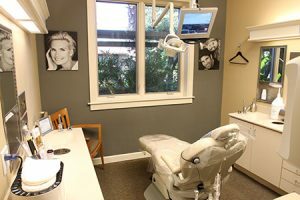 These amenities ensure you can focus on something pleasing and soothing and start to forget you are even at the dentist. We provide a calming atmosphere. Along with these amenities, we also offer aromatherapy in our waiting room and other unique availabilities such as a warm blanket and pillow while you wait for anesthesia to wear off. All of this sounds pretty great right? But, there is more. We also provide eyewear to keep the lights from bothering you and provide you with a paraffin wax treatment for your hands. With Dynamic Smile Design, you will be getting a high-class, relaxing experience that is different than what you’ve grown to expect from the dentist. We know that some people get nervous at the dentist. So, we do everything we can to create a calming space that puts each of our patients at ease. You don’t have to settle for less. Our staff puts an emphasis on service and customer care. At Dynamic Smile Design, we are here to provide you cosmetic and restorative dentistry in the Orlando area. We also provide amenities and complimentary services to make your visit with us comfortable and luxurious. To learn more, contact us to schedule a consultation.